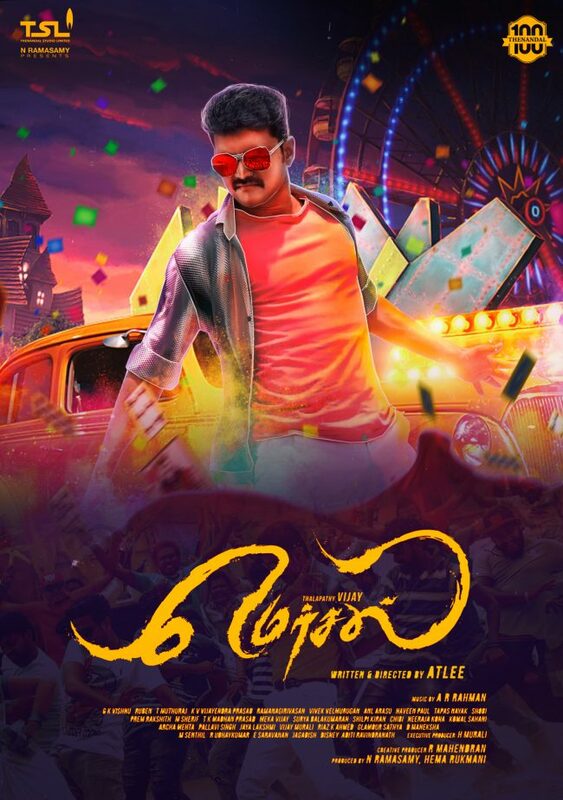 Mersal is a 2017 Indian Tamil-language action film starring actor Vijay in triple roles with Samantha, Nithya Menon and Kajal Aggarwal playing the female lead roles. The film is directed by Atlee.Vijay’s Mersal teaser is already breaking records in Indian cinema.Mersal becomes most liked teaser in cinema industry till now. Vijay Mersal teaser is already breaking records.The Producer is already busy signing deal selling the release rights of the movie.The latest news is that a renowned Telugu distributor has retained the Telugu rights for 42 crores in Indian rupees. as both Tamil and Telugu versions will release on the same date so it’s gonna be treated for all Tamil and Telugu fans this Diwali. The producer hopes for good collection in both Tamil and Telugu. The movie is Written and Directed by Atlee Kumar and this is his second movie with Vijay. And is expected that Samantha, Kajal Agarwal, and Nithya Menon have important roles to play in the movie.The movie is produced by Thenandal films, with AR Rahaman as a music director.